COLUMBIA, S.C. - The Fireflies today announced that beginning with the 2019 season, Spirit Communications Park will be called Segra Park. Earlier today, Spirit Communications and Lumos Networks Corp. announced that the two companies have rebranded as Segra. "This new brand marks the official launch of a single company with a mission and a culture that are dedicated to providing winning solutions for our customers," said Segra CEO Timothy G. Biltz. "We are looking forward to the opportunities this gives us to better serve our customers, our communities and our employees." New signage for Segra Park - the 2016 Ballpark Digest Ballpark of the Year - will start going up in the coming months, both around the park and the City of Columbia. "We are excited to play such a big role in the launch of the Segra brand," said Fireflies team President John Katz. "It is an exciting opportunity to participate in their brand launch just like they helped us do in 2016. 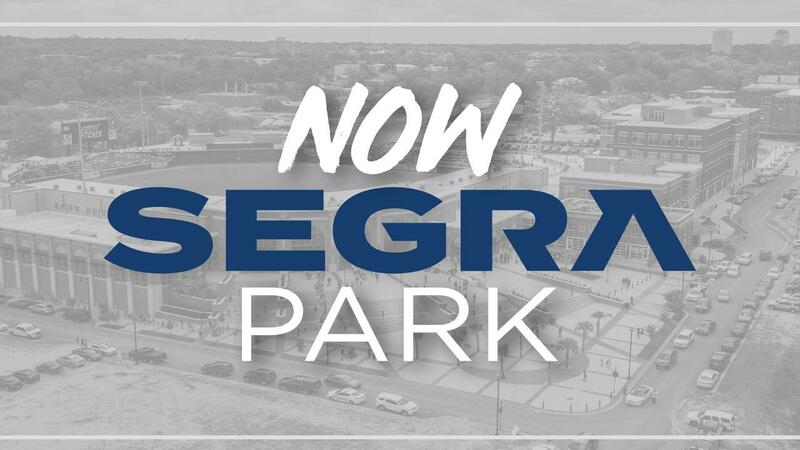 We are excited for the new opportunities this brings to both organizations, and will continue to deliver first-class, affordable family entertainment with Fireflies baseball and other events here at Segra Park." Group and season tickets for the 2019 season of Fireflies baseball are on sale now. Visit FirefliesTickets.com, the Segra Park ticket office or call (803) 726-4487 for more information.